From 16 February, the park is once again open daily, and to celebrate the start of the summer season, guests are invited to come and explore the park’s many attractions, including the Ice Age exhibit, newly opened last year. During the event, guests will be encouraged to help onsite paleontologist, Dr Nock, find some missing Ice Age animals. They will have to search and explore the park’s Ice Age exhibit, collecting facts about the amazing animals they encounter. Once they have completed this challenge, they’ll be able to collect a prize. There will also be the option to do some fun arts and crafts in the Craft Club. In addition, the Adventure Theme Park will be open again, where guests can enjoy a number of rides; from plummeting 30ft to the ground on Venom Tower Drop, to a leisurely ride on the Congo Carousel. There is also the four-mile self-drive safari, where guests can spot the latest babies – Grace and Gamba the Grévy’s zebra foals, Gerald the baby Rothschild’s giraffe and southern white rhino calf, Granville. 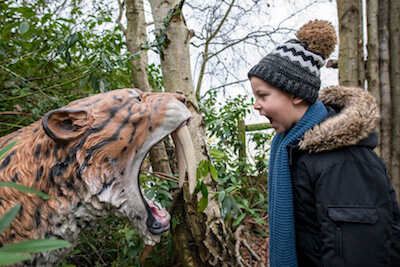 West Midland Safari Park opens daily from 16 February 2019 for its summer season. Explorers Week activities are included in the group admission charge of £11 for adults, £10 for children aged 3-15 and £10.50 for concessions based on ten or more paying passengers arriving by coach or mini bus. Children under the age of 3 are free. Adventure Theme Park rides are charged extra.